Some enuresis alarms such as the Malem Ultimate clip to a child’s clothing, usually his shirt. Others are worn with an armband. One advantage of an arm-band bedwetting alarm is that it’s stable. Once it’s properly inserted into your child’s upper arm, it shouldn’t come off easily and stay in place until the morning. 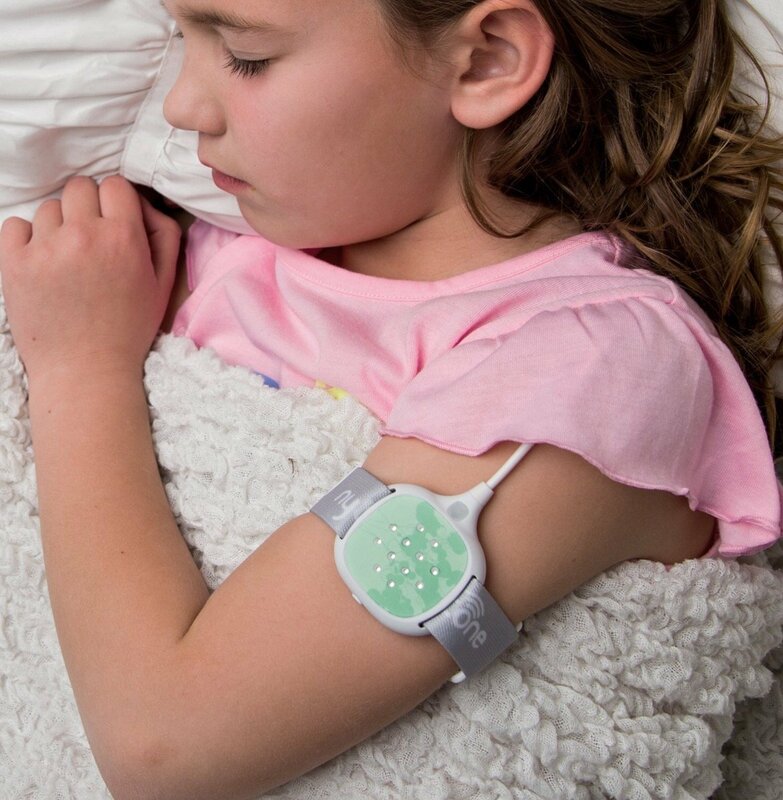 Here, we give you the armband enuresis alarms available for purchase online. It’s a “completely re-imagined bedwetting alarm,” says Nytone. 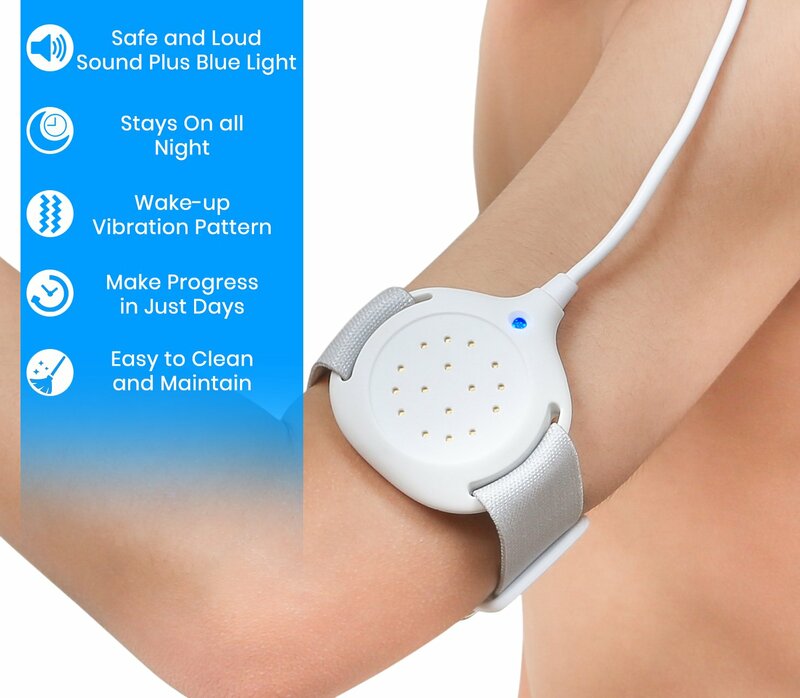 Before other brands followed suit, this enureris alarm is the first of its kind to undergo clinical trials, leading the brand to call it the “original wearable alarm” with an effective rate of 85% according to past studies. Weighing only 1.7 ounces, the Nytone bedwetting alarm can be customized to either vibrate, make a sound, or do both. The elastic band is soft, flexible, and adjustable. One of the cute things that the Cumizon enuresis alarm has are the included stickers, which are a hit to children. They can choose from 6 kid-friendly designs to personalize their Cumizon. For parents, this sports-band style device comes with a daily achievement chart to track the progress of your child. 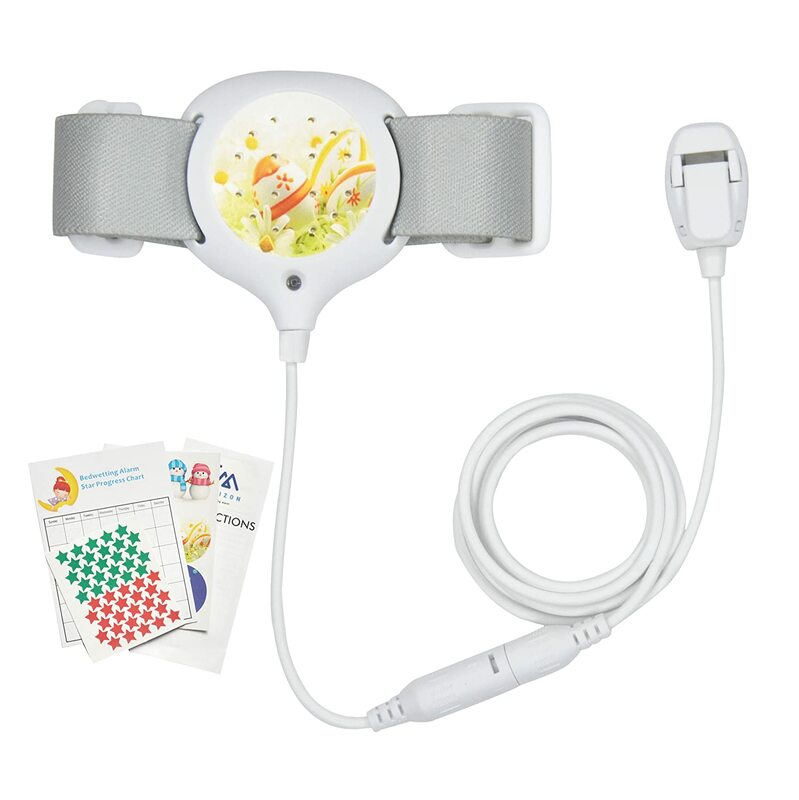 Of the armband enuresis alarms that offer free stickers, the MoDo-king has the most attractive to offer. Between this and the Cumizon, we like the MoDo-king stickers because of a superhero design that we spotted. Everytime the alarm of the Bed Buds goes off, it comes with a flashing LED light. According to the brand, all their units are tested in America, so there’s no question when it comes to product quality.